At least 75% of bands I see are still “cash only” when it comes to merch. Maybe they haven’t gotten the memo yet… maybe they’re protesting the credit card economy… Or maybe they’re just plain lazy. Either way, if you’re one of them, you could be selling A LOT more merch at basically no extra cost. The Square credit card reader is completely free. You plug it into a smartphone and can use it to charge credit cards anywhere you go. In this guide we’ll show you how to set one up. We’ll also show you how to setup a Square online store, which is another free feature. Square takes just 2.75% of sales, compared to 10-15% for Bandcamp or $10/mo for Big Cartel. Today nearly 80% of processed sales are credit card sales. Even in underground spaces, people are expecting the option to pay via card. Not everyone keeps a crumpled up $5 bill in their pocket. Most credit card processors charge a fee anywhere between 2%-3% per transaction. But in most cases this also comes with a pretty hefty monthly software or hosting fee. 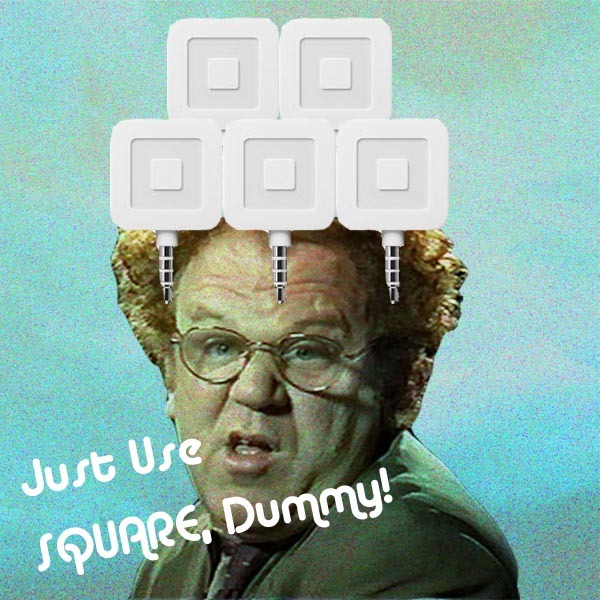 Square charges a flat 2.75%- that’s it. So if you don’t process sales very often then that’s a pretty small price to pay. And it gets even better, when you sign up for a new account they will ship you a complimentary card reader within 5-7 days. Woohoo! If you need one fast, Amazon also sells Square card readers for $7 with free Prime shipping. Once you have your account created, adding items is a piece of cake. You can choose between processing items at a custom price or if you choose you can add products with names and prices for easy button pushing when you have a line of fans. You’ll also want to make sure you have your taxes set up - but don’t worry they make that easy too. All you need is a zip code and the rate will automatically populate for you. That’s it! I hope I don’t have to explain how to swipe a credit card… if you know how to use a smart phone and swipe a credit card then you will have no trouble using your new mobile money machine. What About After The Show? Another thing you might not have known about Square is that they now allow you to create an online store. And guess what, that’s free too! No monthly hosting fees, just a small little fee of 2.75% per transaction. And it’s all extremely easy to set up if you already have a Square account. Your products and inventory from your Square account will automatically sync with your online store. If you want to go SUPER official, Square recently announced features that allow you to create customer profiles. Want to know who your biggest fans are? Maybe email them a free download? For $15/month you can get to know your fans and keep in touch after the show. Have a gig this weekend and need a card reader ASAP? You can also find one online for $7 with free Amazon Prime shipping.